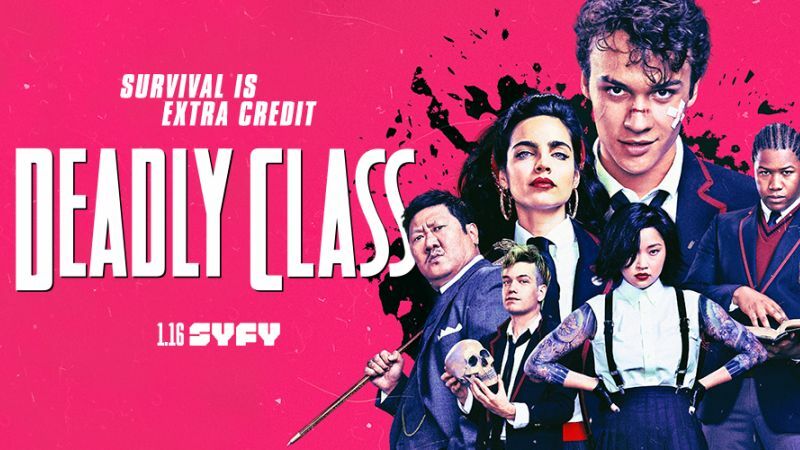 The Deadly Class season one finale titled ‘Sink with California’ airs tonight on Syfy, but before then we wanted to share with you two exclusive tracks from the episode. The tracks, composed by Nathan Matthew David, are titled ‘Ticks’ and ‘I’d Love to be Your Friend’. Deadly Class revolves around King’s Dominion, an elite private academy where students are trained to become assassins. The series was developed by Rick Remender and Miles Orion Feldsott and is based on the comic book series of the same name created by Remender and Wesley Craig. It stars Benedict Wong, Benjamin Wadsworth, Lana Condor, María Gabriela de Faría, Luke Tennie, Liam James and Michel Duval. The post Preview the music from tonight’s Deadly Class finale appeared first on Nerd Reactor.